If you are convicted or plead guilty to a first offense DUI in New Jersey, you’re facing fines and other court costs holding approximately $700-$800. New Jersey will surcharge you what’s called a DUI surcharge, which is $1000 a year for 3 years. If you fail to pay the DUI surcharge fees, you will face indefinite suspension of driving privileges as well as an action filed against you in the State Superior Court by the New Jersey Motor Vehicle Commission that may put a lien on your property or redact it from your wages. In addition, on your first offense you will lose your license for either 3 months or 7-12 months depending upon the specific reading of your blood alcohol test. 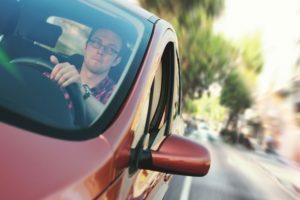 You are facing 2 days at the Intoxicated Drivers Resource Center, which is a 12-hour class given to drivers convicted of driving while intoxicated. In addition, your insurance may be canceled by your provider or your premiums may be increased. In some cases, the first offense DUI may be combined with a refusal to take a breathalyzer charge, if the person in question neglected to submit to a chemical test. This will give the offender an additional 12-hour course at the Intoxicated Drivers Resource Center as well as license suspension for 7 months-1 year and a fine between $300 and $500. It is also important to know that in a first offense DUI case, if you are under the legal drinking age of 21 years old, you also must face penalties including a 30 to 90-day license suspension and 15-30 days of community service.